Graft is a wine shop in charleston, south carolina. Created by two long-time friends, it is a celebration of good wine, community, and great times. Graft is a wine shop and wine bar in uptown Charleston, South Carolina. Created by two long-time friends, it is a celebration of good wine, community, great times and the best music. We like to think Graft is the perfect place for everything wine related. Whether you want to geek out or just kick with friends, we wanted our space to be the spot where you could do it all - imagine your living room filled with good wine. 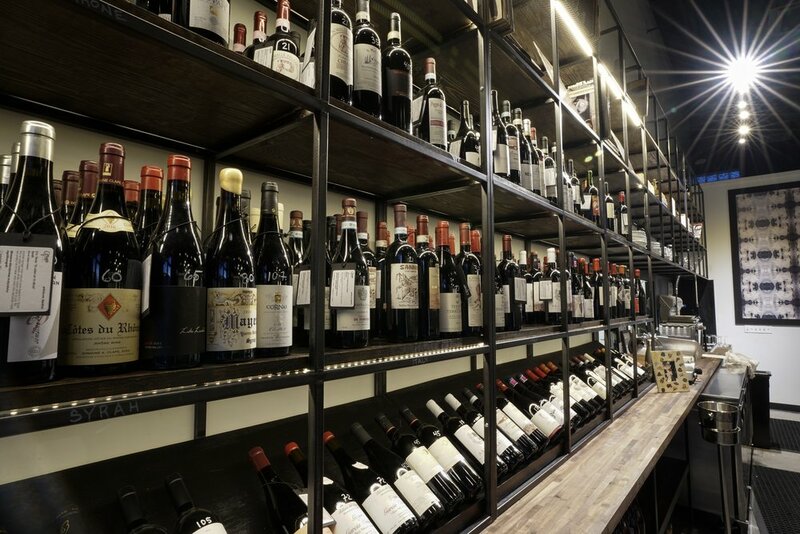 You can swing by and grab a bottle to go from our ~240 selections or sit in the bar area and choose from one of 20+ wines by the glass or drink anything off of the retail wall for a $15 corkage. The shop has a wide array of everything from classics to more atypical selections that is changing and evolving weekly.